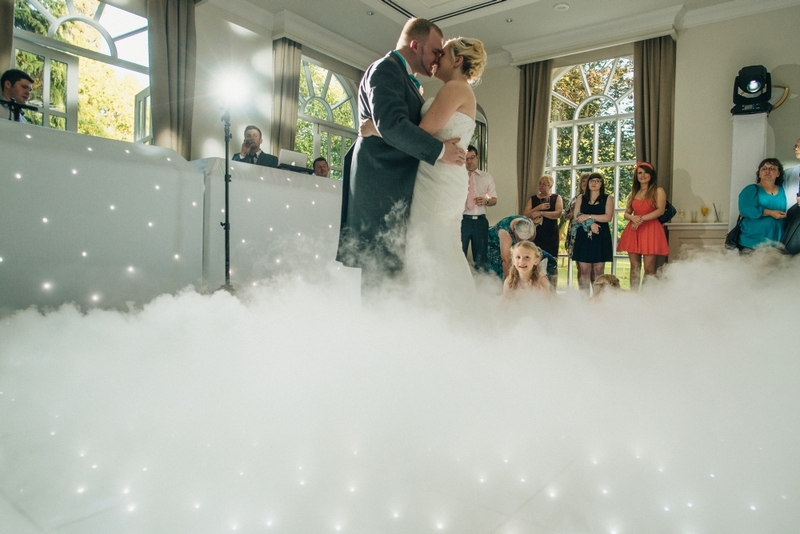 Dance on the clouds and among the stars as you take to your first dance as Husband and Wife. 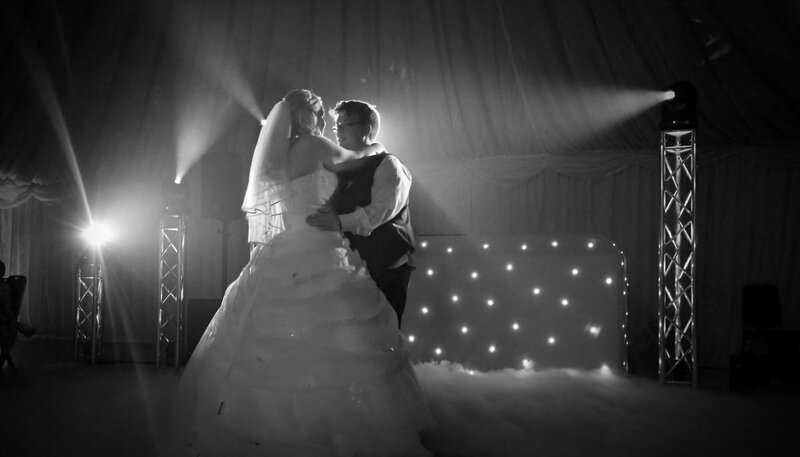 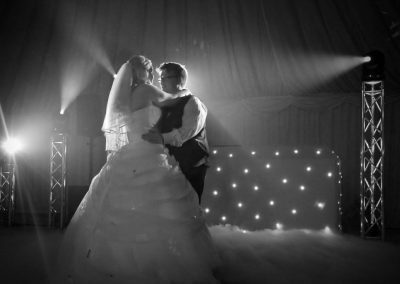 Our dry ice dancing on clouds effect is a guaranteed way to add that wow factor and create beautiful images of your first dance. 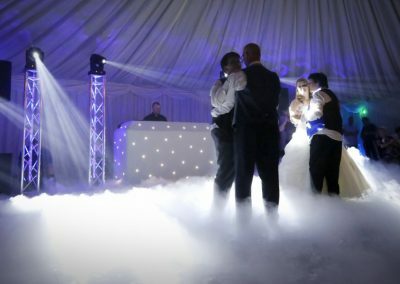 Our dancing on clouds effect is completely safe to use in all venues, the rolling clouds stay below your knees and offers the ultimate wow factor. 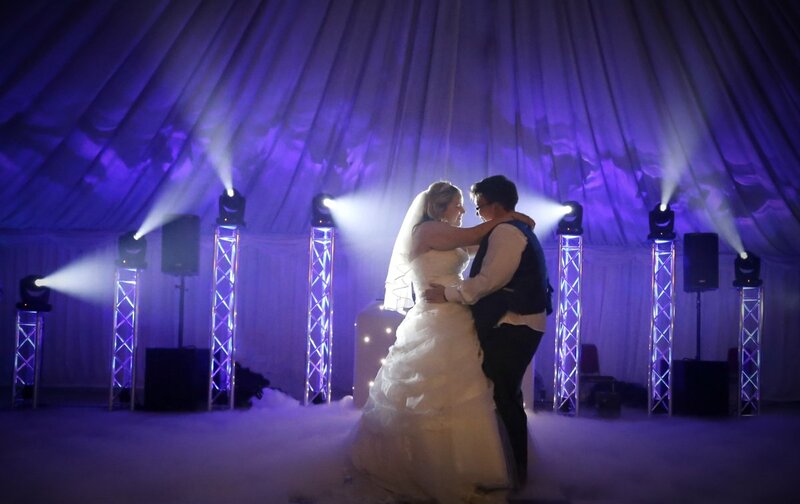 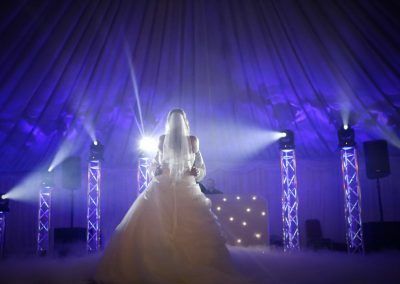 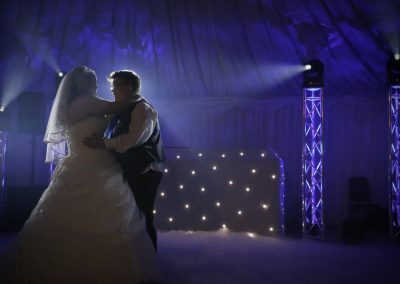 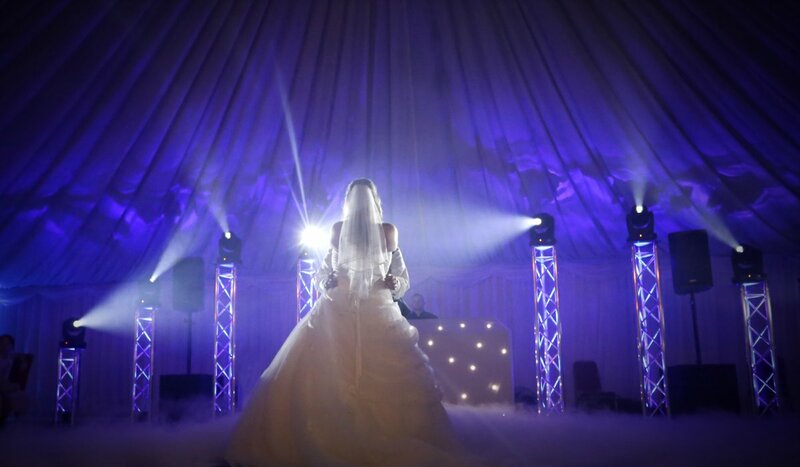 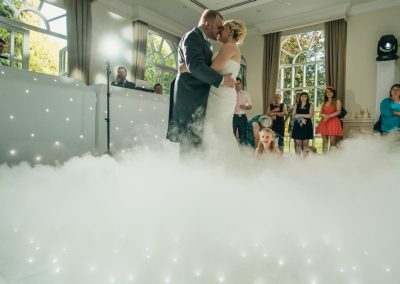 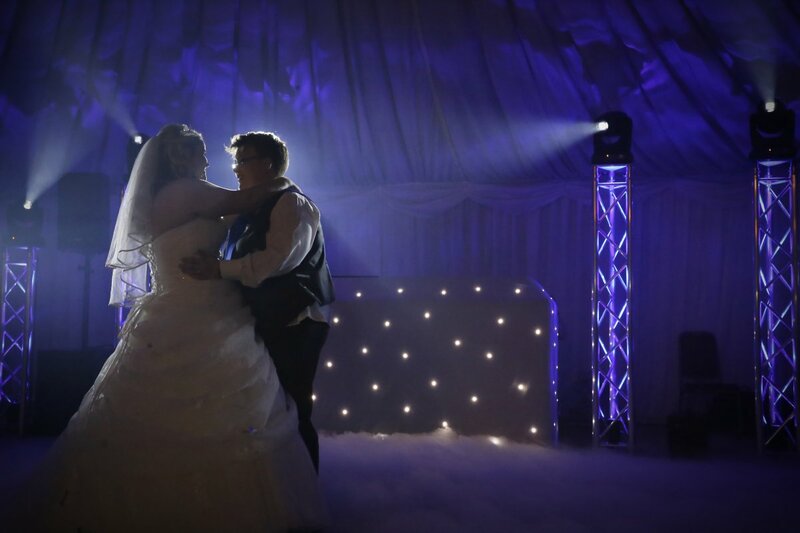 Our dancing on clouds effect utilises dry ice which is heavier than air meaning it hugs the ground and dissipates naturally ensuring that it will not set off smoke alarms in your venue. 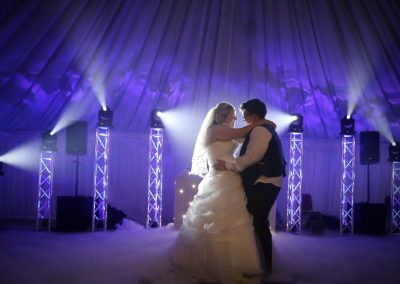 Couple this effect with our LED dancefloor option and dance among the stars, watch in awe as the clouds twinkle just like the stars! 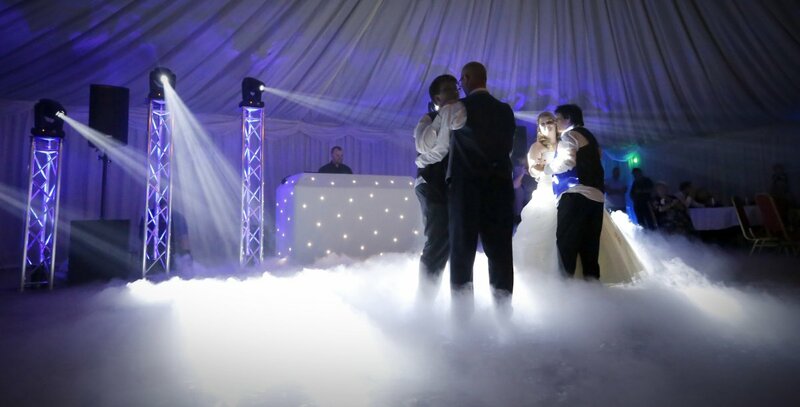 All of our setup options can project stars on top of the clouds too! 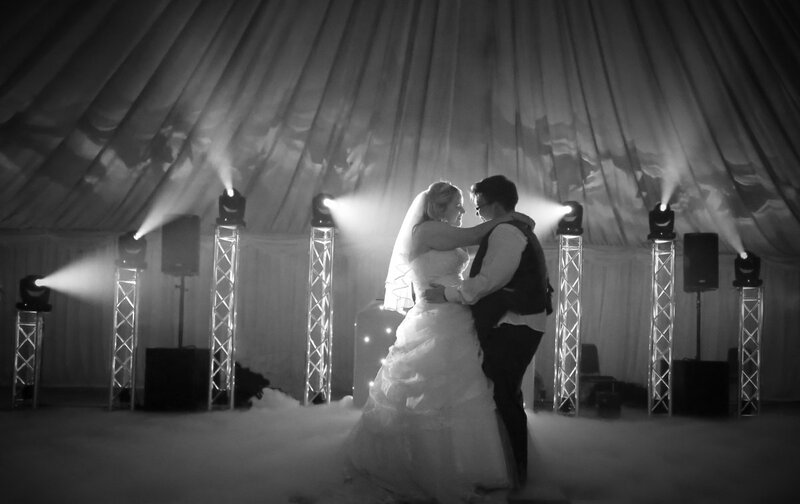 Book with one of our disco options to get priority booking and a cheaper price!